Looking for a venue for your next function? Rubira's has a private function room available to suit your every need. 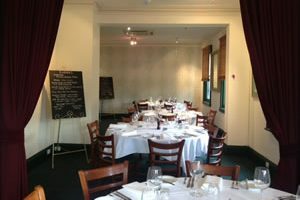 We are able to cater for both sit-down and stand-up functions. With a fully serviced bar and menu's tailored to your dining needs, Rubira's is perfect for any occasion. Keep Rubira's in mind for your next private function and enjoy the fantastic fresh seafood on offer and the superb location at our Port Melbourne Restaurant. Moreton Bay Bug, Spencer Gulf King Prawns, Freshly shucked Oysters, Woodbridge Cold Smoked Ocean Trout, Half Shell Flinders Island Scallop with a citrus dressing. Make a booking for lunch or dinner and experience the fine seafood on offer. Table service and outdoor seating available. Rubira's offer the finest seafood direct from the fish markets and prepared by expert chefs at our Port Melbourne Restaurant. On Public Holidays a Surcharge of 10% Applies. Sitemap | Copyright © 2019 Rubira's @ Swallows. Website by Net Promotions.